To save time you can use pre-made crusts found in the refrigerator section of your grocery store. I make mine with my grandmother's recipe below. What is nice about this crust recipe is you can make as little or as much as you would like. (Cut the ingredients in half, if you'd like. This recipe will make at least two complete top and bottom crusts.) For speed on a busy morning, you can mix the dry crust ingredients ahead of time. I mix the dry ingredients ahead and store them in the refrigerator, then just dip out about 2 cups for each top crust and 2 cups for the bottom crust. Add your cold water or milk when you are ready to roll it out. You can also make the complete pie ahead of time, it freezes well. 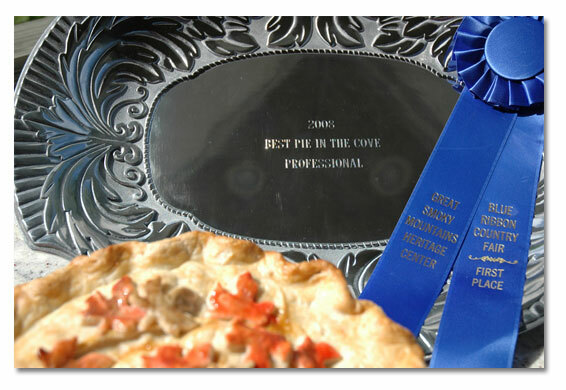 You can make an 8" pie (serves 6 easily) or 9 to 10" pie (serves 8 to 10 easily) or little individual oval Pyrex ramekins. Once made, they can be baked or frozen and baked later. Cut lard, flour and salt into each other using a pastry blender or food processor. Then place in the refrigerator. This will keep for months and will make 2 to 3 pies. When ready to make a pie, measure out 4 cups of flour mixture and pour into a cold bowl and stir with a fork enough ice cold water or milk to form a ball and leave the sides of the bowl. Divide into 2 pieces, roll out a circle on a floured surface and place in the bottom of the pastry dish. Roll out the rest of pie dough and place it on top. Cut the crust in a circle with about an inch of overlap over the sides of the pie plate. Fold and roll the top edge under the lower edge, pressing on the rim to seal. Flute edges. Brush the top with beaten egg yolk. Cut a few slits. I take the left over rolled out dough and cut hearts out of it for "romance package guests" or cookie cutters of leaves for others. Place cut outs on top of the top crust. The crust with the egg yolk brushed on becomes a deep golden brown while the cut outs will remain lighter letting them stand out better. 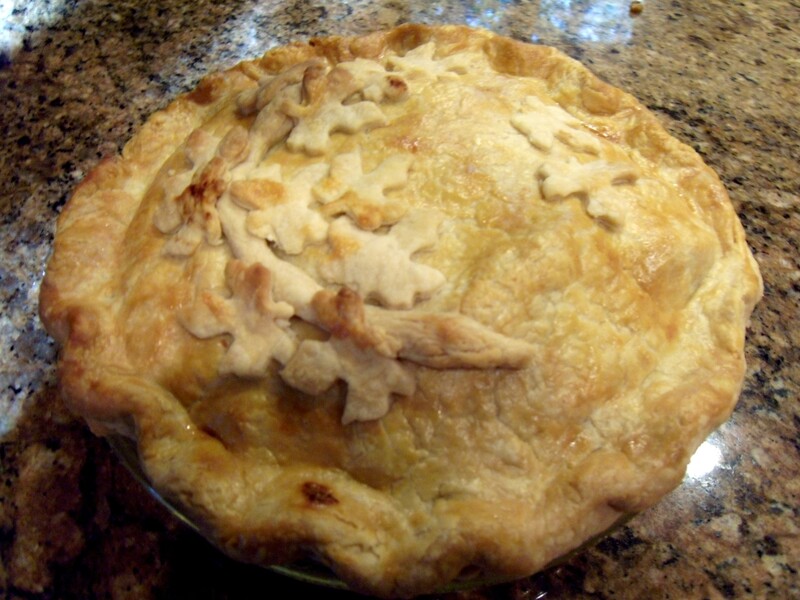 Use 3 apples for a 9 to 10 " pie, 2 for an 8" pie and half an apple for each individual pie. Brown sausage and onion together. Drain the browned sausage well in a sieve; press on it with a spoon. Put the sausage mixture on the bottom of the pie dough. Toss the apple slices in the sugars, flour, nutmeg and cinnamon. Place apples in a pinwheel formation on top of the sausage. Sprinkle any leftover flour-sugar mixture on top of the apples. Follow the rest of instructions from above to close up pie. Bake for 30 minutes at 425 then reduce temperature to 350 and bake another 30 minutes. This is a “fall” Apple Pork Pie. if folks are celebrating an anniversary I put hearts on it. !